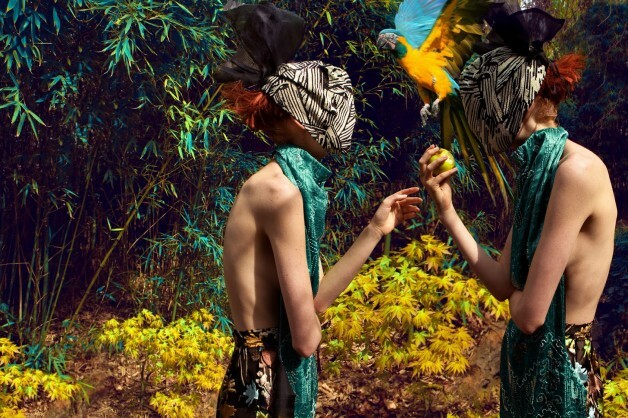 Photographer: Baldovino Barani. Model(s): Anna Piirainen, Hannare Blaauboer. Source: Designaré Couture. Stylist: Yasmina Benabdelkrim. Makeup: Bea Barbat. Hair: Vincent de Moro. 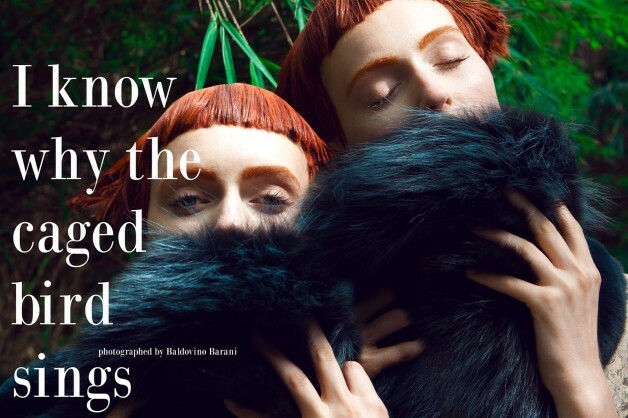 A reflection of beauty and grace Anna Piirainen & Hannare Blaauboer are mirror images of each other in ‘I Know Why the Caged Bird Sings’ by Baldovino Barani For Designaré Couture. 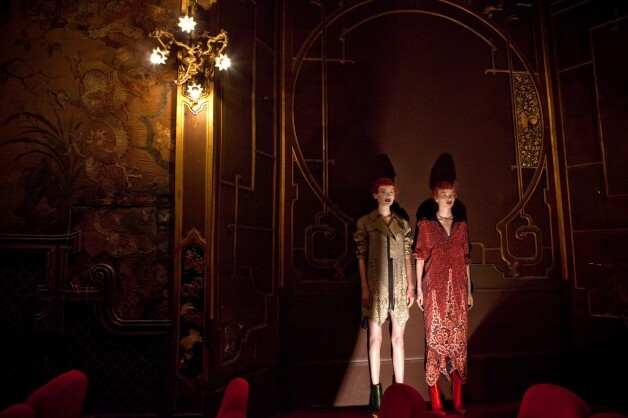 Shot at La PAGODE Cinema in Paris, this Maison Martin Margiela Artisanal Special was created in a two part series as a special release for the high fashion magazine. Titled after Maya Angelou’s masterpiece of the same name, Barani pays tribute to the enduring faith of the human spirit that allows us to see beyond the shackles of any situation and find our way to hope. Each exquisite piece a celebration of life, (stylist) Yasmina Benabdelkrim uses the power of Haute Couture to symbolize strength and resiliency, while Bea Barbat and Vincent de Moro’s brave beauty emulates the art of overcoming adversity. In honor of Angelou’s great impact on modern culture, I offer the amazing words of Paul Laurence Dunbar as found in the third stanza of his great poem ‘Sympathy’ (a piece she cites as inspiration for the book’s title).